Dr. Neal J. Saslow, veterinarian, has been owner/director of the Baldwin Animal Hospital and Bird Clinic since 1988. Determined since childhood to pursue a career in veterinary medicine, Dr. Saslow attended John Bowne High School for its animal science program. He obtained his B.S. in Animal Science from Cornell University in 1978 and his D.V.M. from Cornell University in 1982. Since graduating, he has practiced on Long Island in a variety of settings including; Multi-doctor practices, emergency/trauma centers, housecall practice and a veterinary cardiology/internal medicine consulting center. Committed to staying on the "cutting edge" of veterinary medicine, he attends well over 100 hours of continuing education seminars per year. He is also an active participant in a veterinary interactive computer network with access to many specialists from all over the world with the click of a keyboard. He is a member of numerous professional organizations including: L.I. Veterinary Medical Assoc, Veterinary Dental Society, Assoc. of Avian Practitioners, American. Assoc. of Feline Practitioners, International Veterinary Academy of Pain Management, American Animal Hospital Assoc., Academy of Veterinary Practice and others. 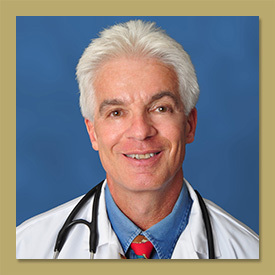 Dr. Saslow loves cycling, rollerblading, skiing and motorcycling. In addition to his wife and two boys: he shares his home with Sasha a Terrier Mix, Juneau a cat and "in the coop" 7 chickens.